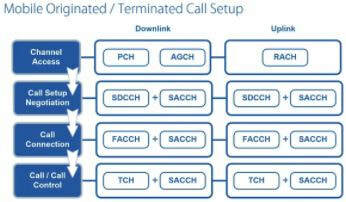 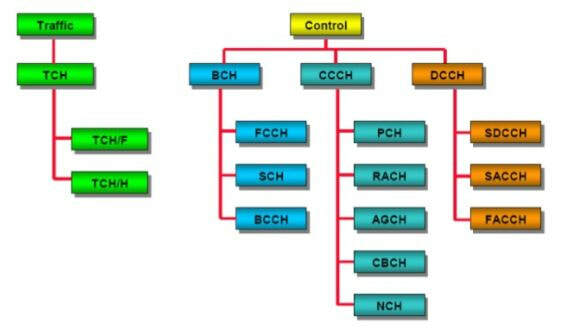 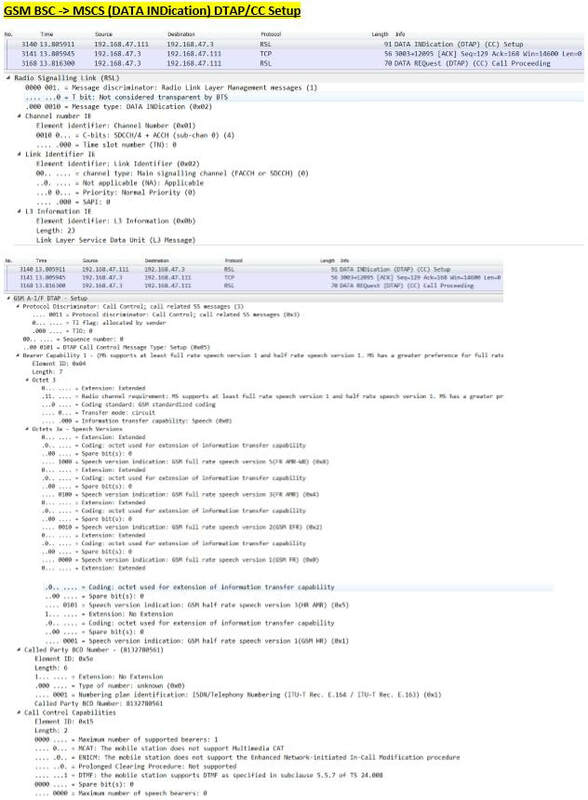 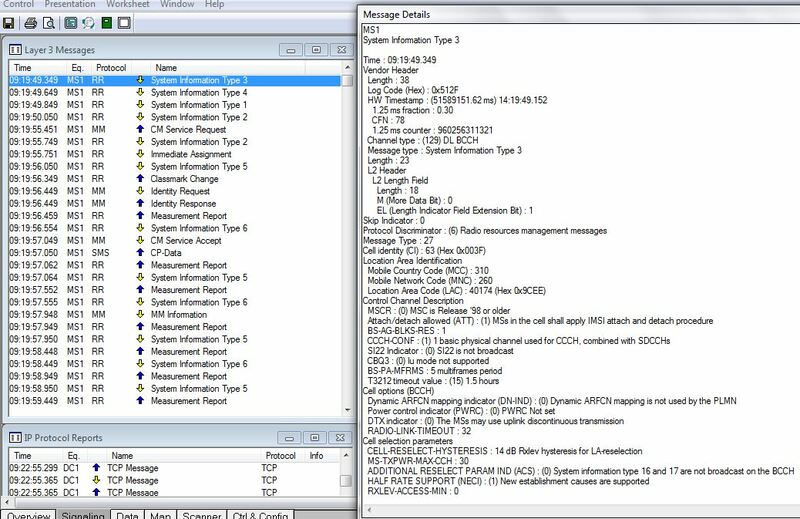 Contains SDCCH channel, TA, description of allocated channel, initial max transmission power, and exact contents of channel request message. 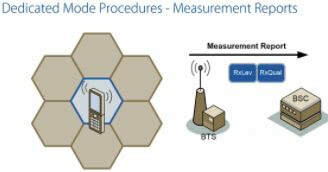 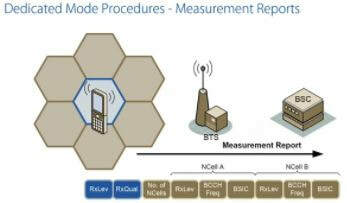 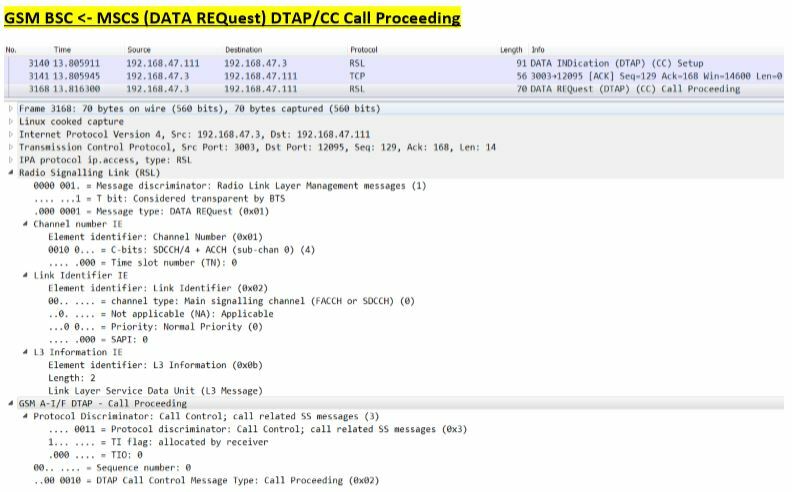 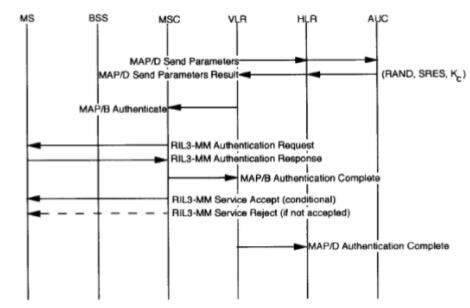 (d) once BSC receives assignment request msg ,it sends physical context msg to BTS ,by using msg BSC interfaces actual timing advances from BTS in order to start the TCH allocation. 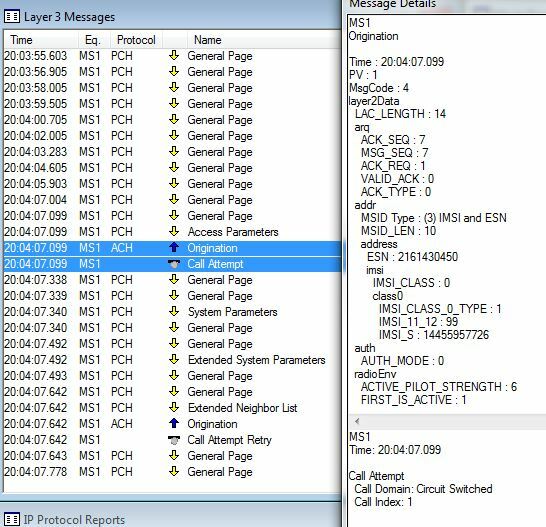 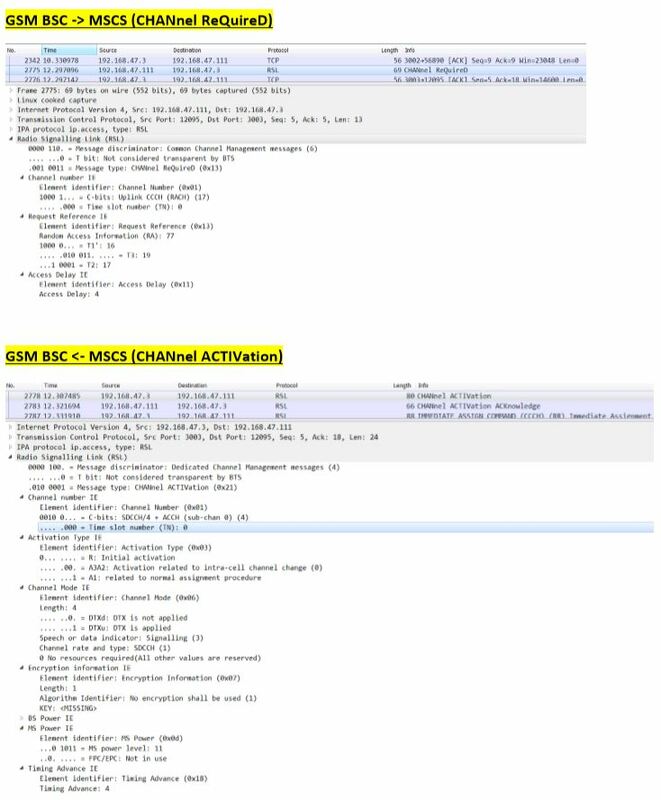 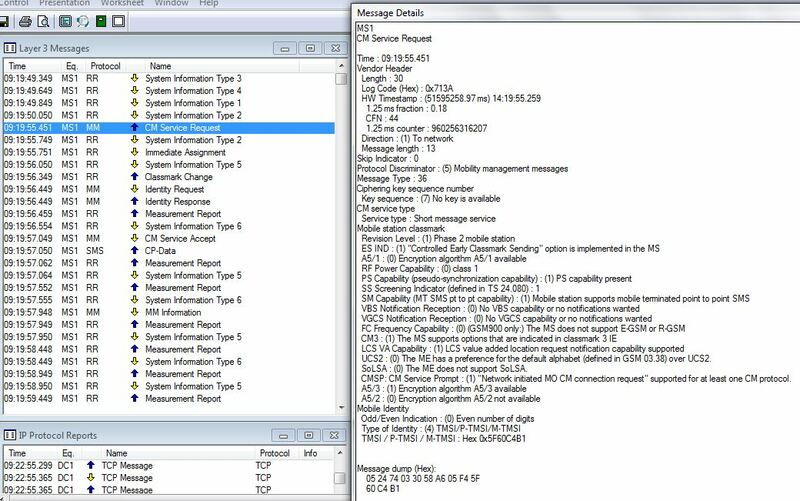 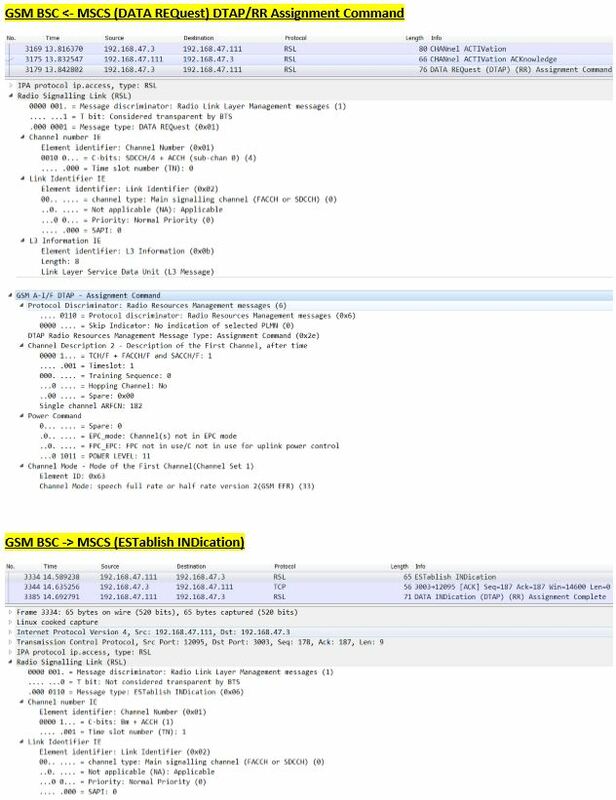 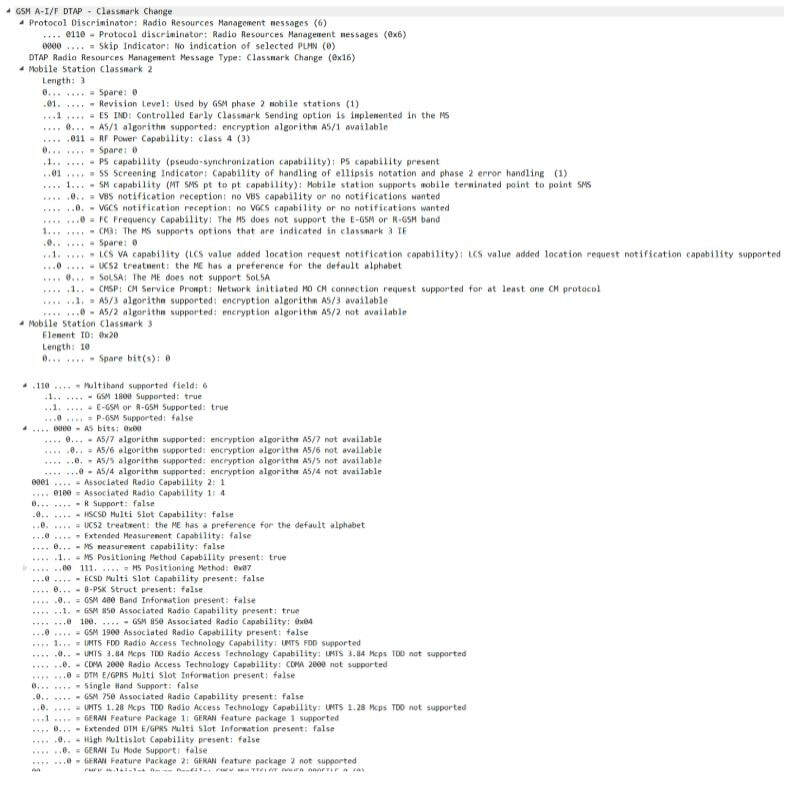 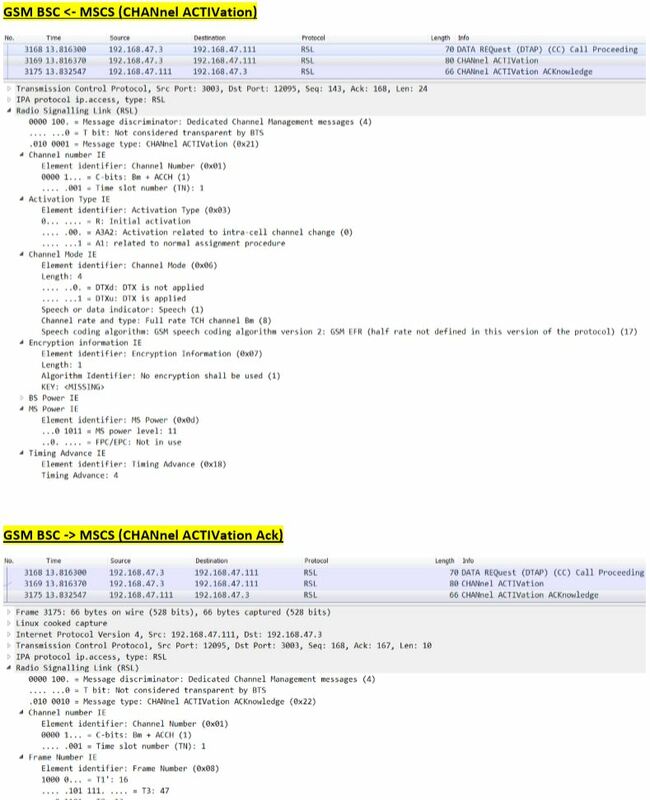 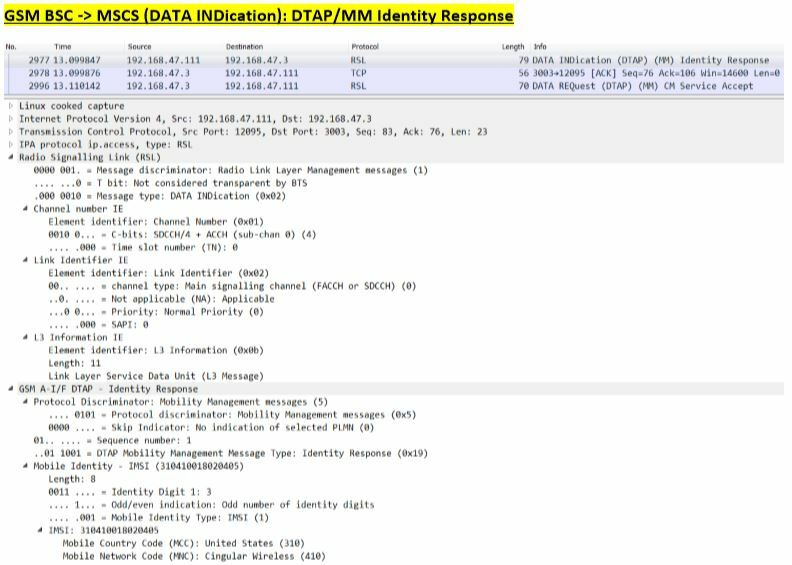 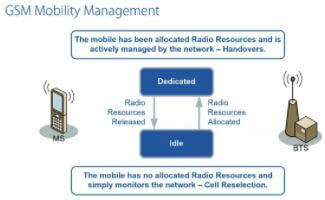 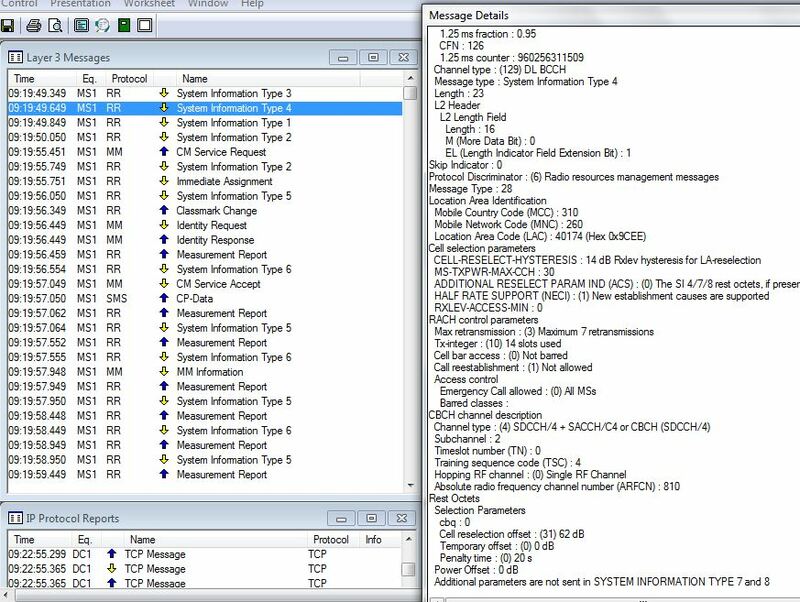 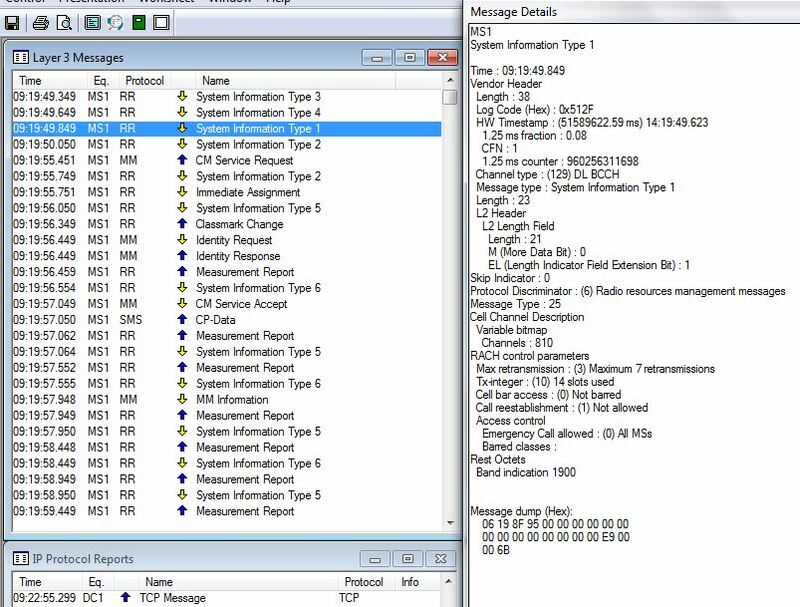 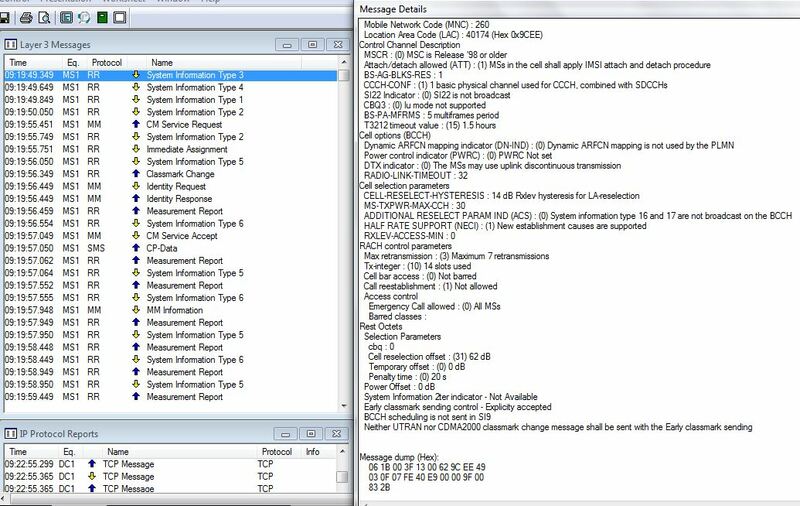 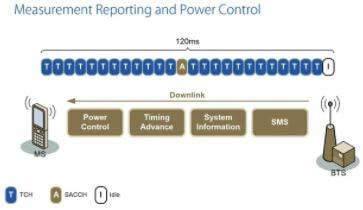 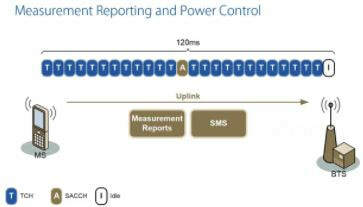 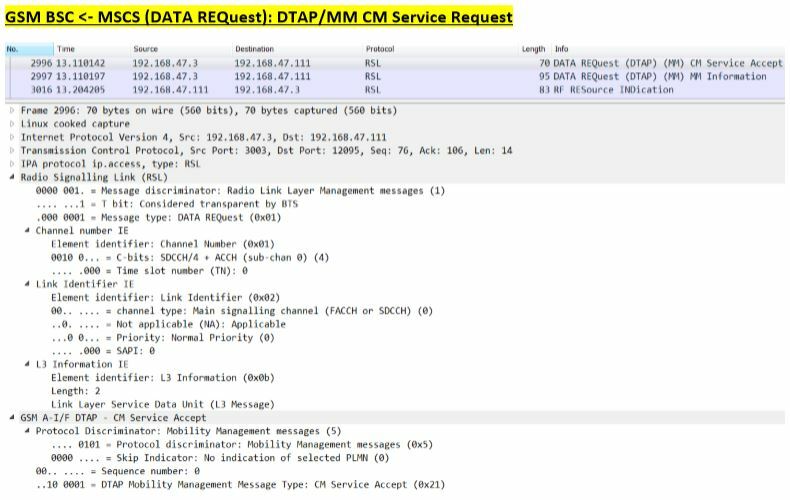 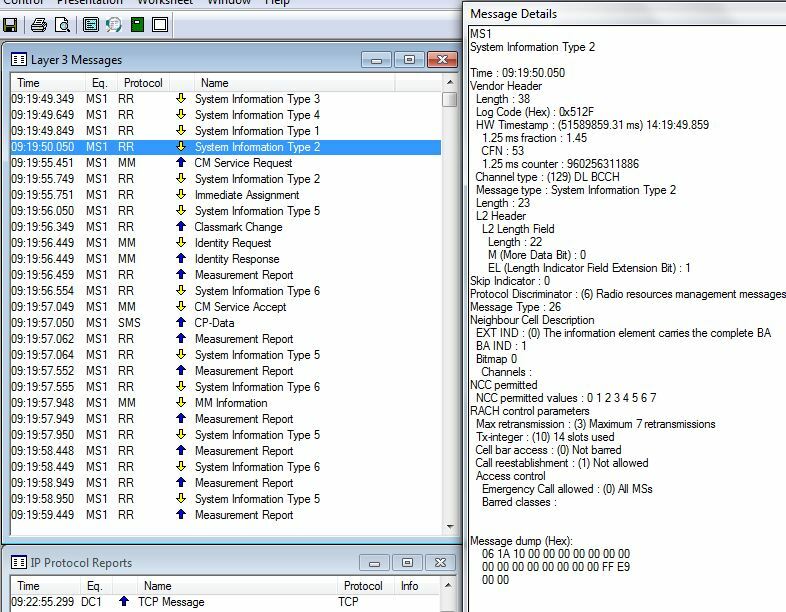 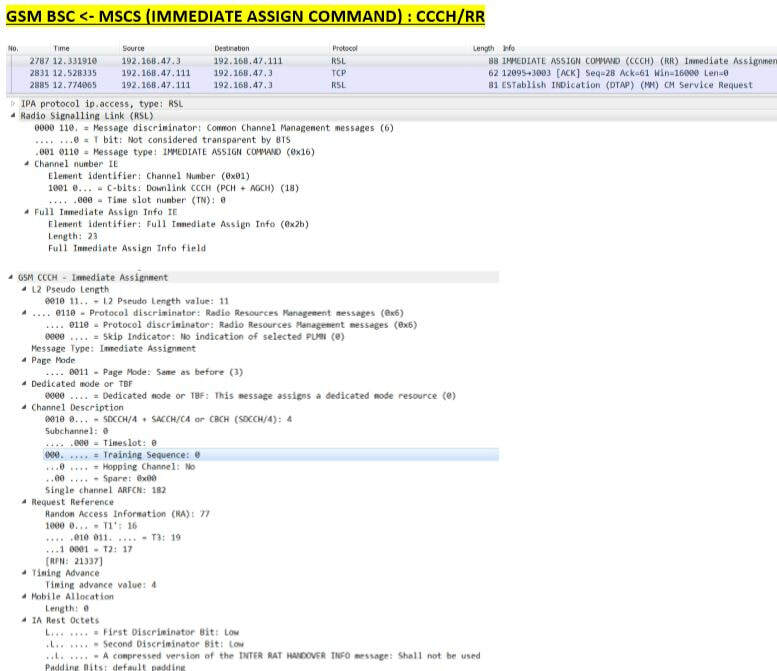 The Immediate Assignment on AGCH message to MS will contain SDCCH channel, TA, description of allocated channel, initial max transmission power, and exact contents of channel request message. 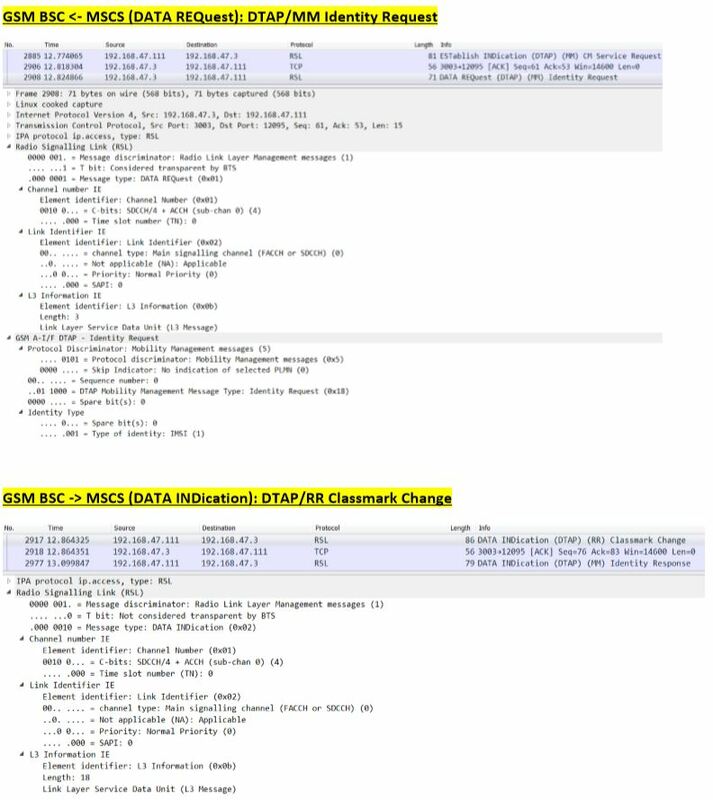 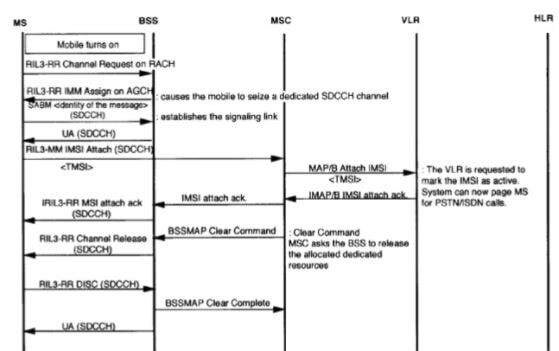 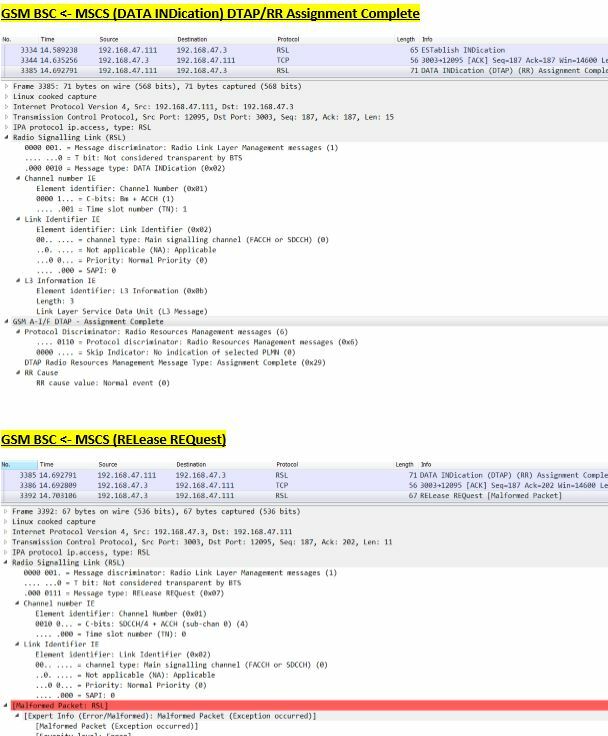 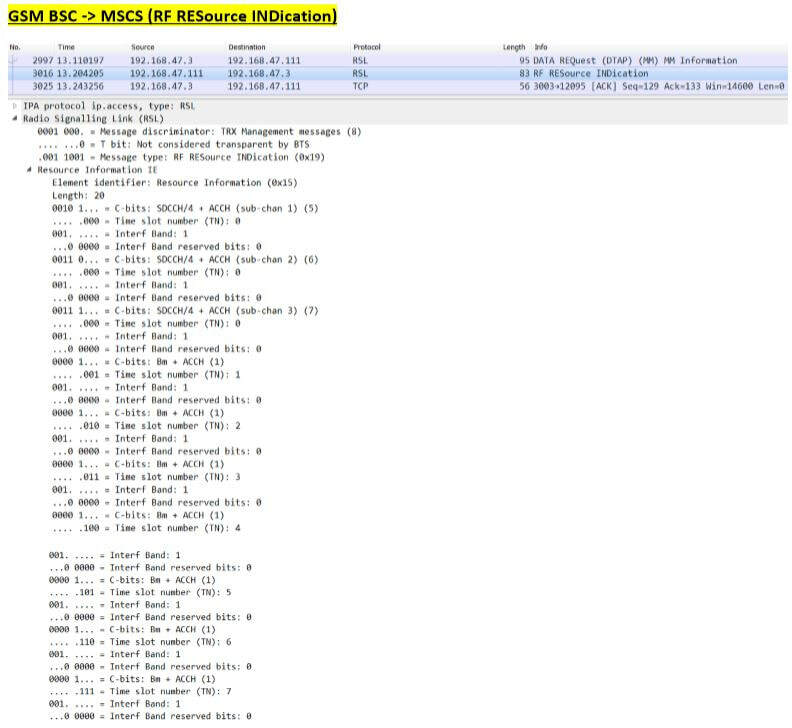 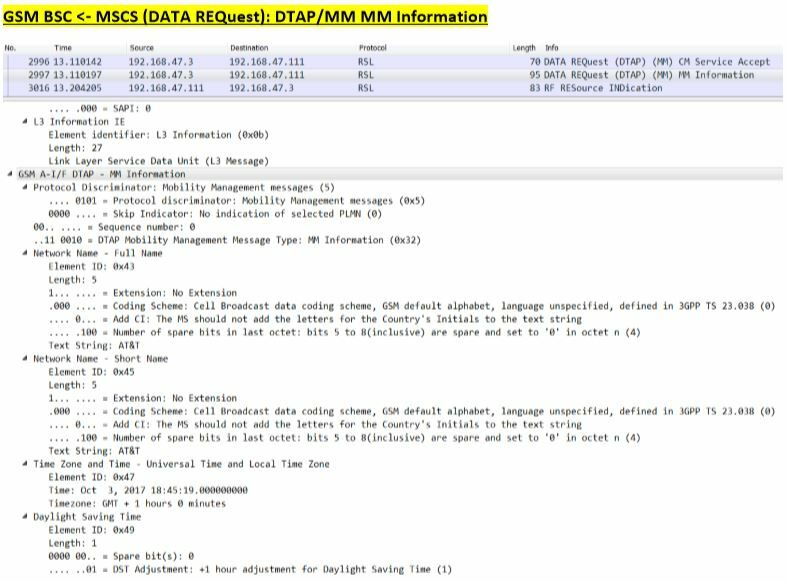 (a) Tells BSC that MS is in which channel link. 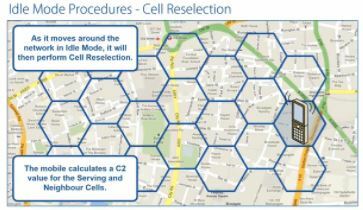 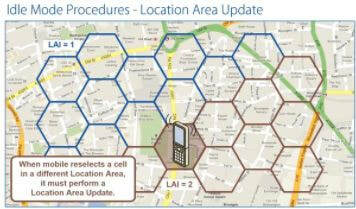 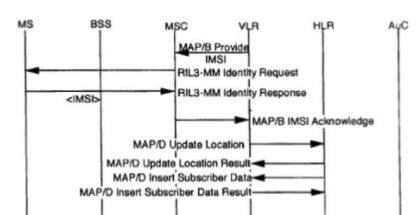 (b) BTS identifies main signaling link and adds L3 information into this message received from MS. 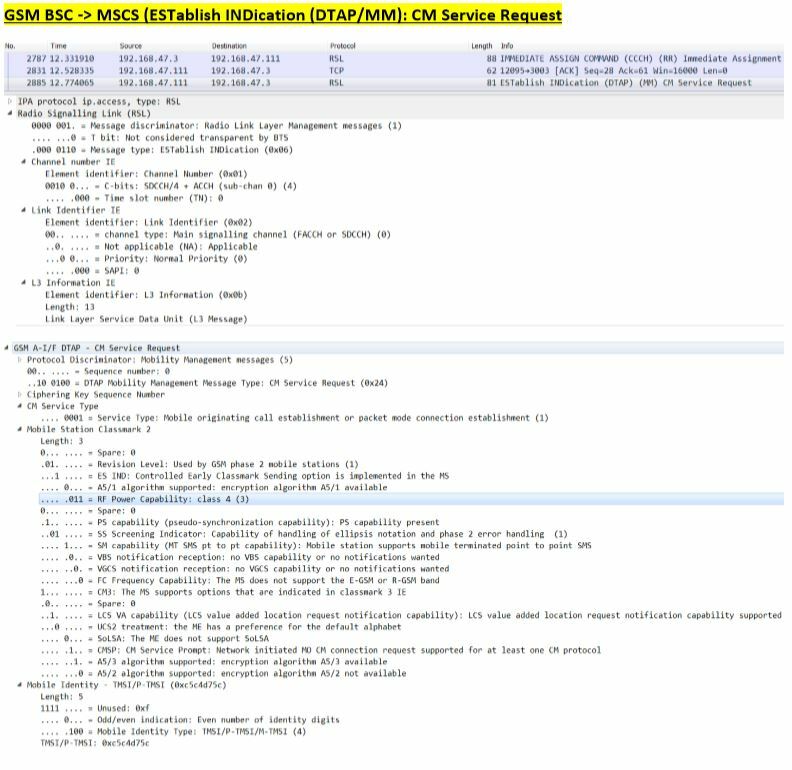 The BSC sends the connection request message to the MSC. 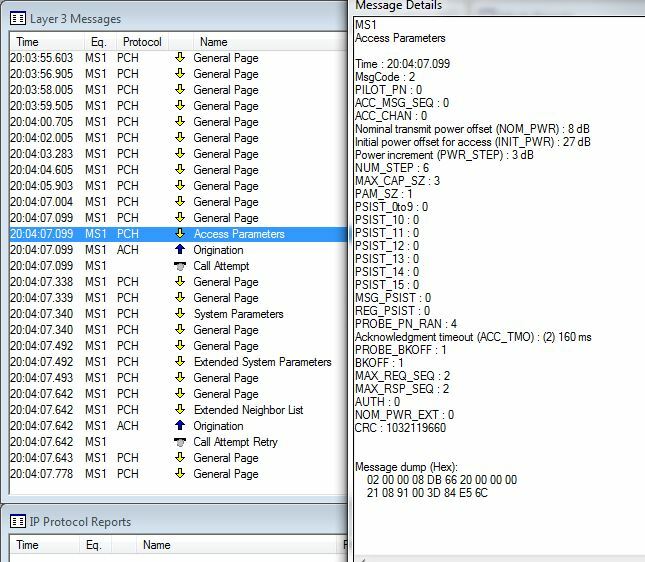 At this stage, BTS sends UA (un-numbered ACK) message to MS. UA is L-2 level ACK, used in setting L-2 level link in LAPDM protocol. 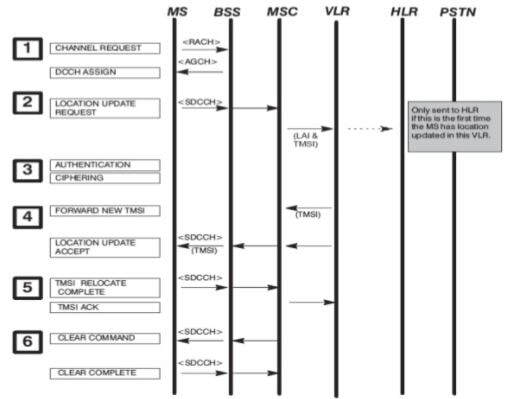 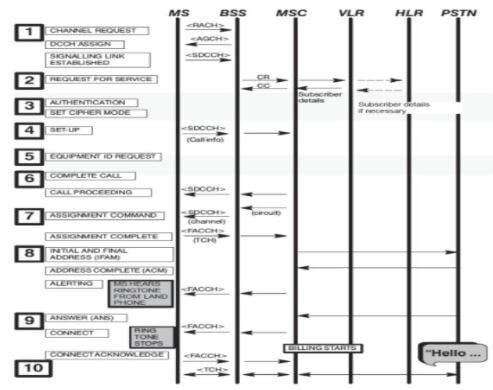 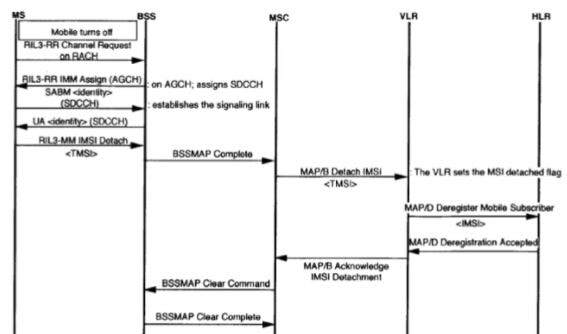 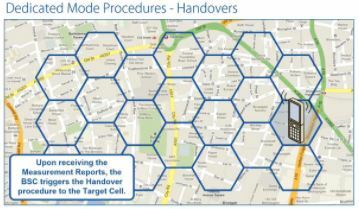 Once the MSC receives CM service request, it sends process access request message to VLR for authentication, ciphering, and TMSI reallocation procedures.